MINNEAPOLIS & REHOVOT, Israel—Stratasys recently announced that the Audi Pre-Series Center, with its Plastics 3D Printing Center in Ingolstadt, Germany, will use the Stratasys J750 full-color, multi-material 3D printer to innovate its design process and accelerate design verification. 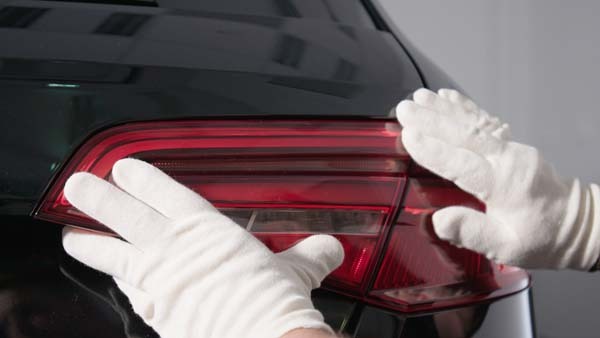 For the production of tail light covers, Audi expects to reduce prototyping lead times by up to 50 percent. Before a new vehicle goes into production, the Audi Pre-Series Center in Ingolstadt builds physical models and prototypes for the brand to evaluate new designs and concepts thoroughly. This requires allocation of most parts of the vehicle in an early stage of product development—everything from wheel covers and door handles to radiator grills. Traditional methods, such as molding and milling, are commonly used to create and replicate new designs. However, the use of plastics 3D printing has become an integral part of the automotive design process at the Audi Pre-Series Center, enabling the team to overcome limitations of conventional processes and accelerate design verification. In the case of tail light covers, the team traditionally used milling or molding to produce individual parts. The main challenge with these production techniques are the multi-colored covers of the tail light housing. These individual color parts must be assembled, as they cannot be produced in one piece. This time-intensive process increases lead times for design verification and subsequently delays time-to-market. To streamline the process, the Audi Plastics 3D Printing Center will use Stratasys’s J750 full-color, multi-material 3D printing. This will enable production of entirely transparent, multi-colored tail light covers in a single print, eliminating the need for its previous multi-step process. With more than 500,000 color combinations available, the team can 3D print transparent parts in multiple colors and textures that meet the stringent requirements of the Audi design approval process. “Design is one of the most important buying decisions for Audi customers,” said Dr. Tim Spiering, head of the Audi Plastics 3D Printing Center, in a press release. “Therefore, it’s crucial we adhere to supreme quality standards during the design and concept phase of vehicle development. As a result, we need prototypes to have exact part geometries, no distortion, and extremely high quality, as well as true-to-part color and transparency. The Stratasys J750 3D Printer will offer us a significant advantage, as it allows us to print the exact textures and colors our design defines. This is essential for getting design concepts approved for production. In terms of 3D printing transparent parts, I have not seen a comparable technology that meets our standards. Stratasys and FDM are registered trademarks, and PolyJet, J750, and the Stratasys signet are trademarks of Stratasys Ltd. and/or its subsidiaries or affiliates. PreviousCan Artificial Intelligence Help Develop a New Catalyst Technology?